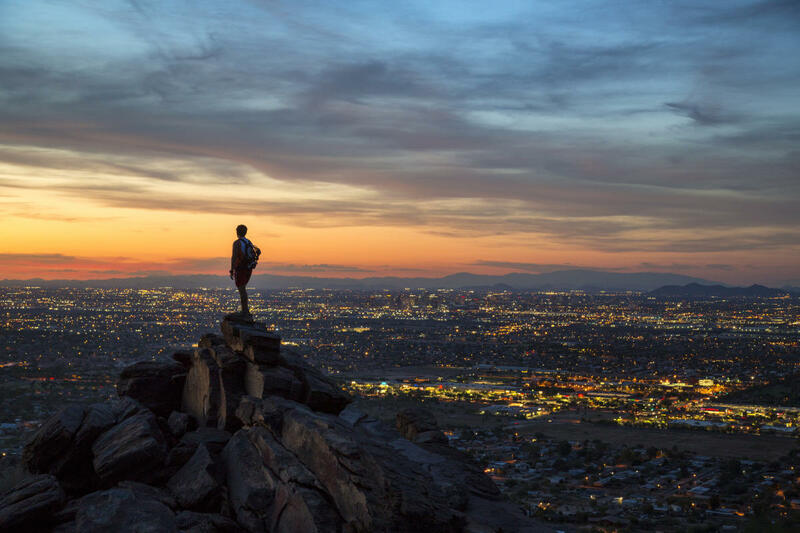 The panoramic view from the "hump" of this iconic landmark, named for its resemblance to a kneeling camel, is worth scaling its two tricky trails, Echo Canyon and Cholla. 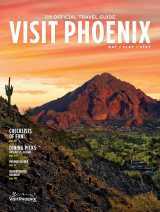 Hikers gain 1,200 feet in elevation to the summit, which looks out over the city and Phoenix Mountains Preserve. 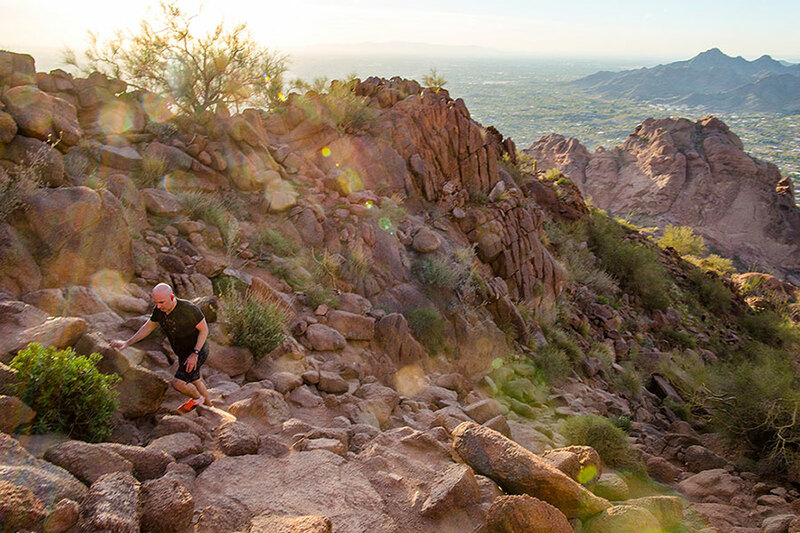 Camelback is one of the most popular urban hiking spots in Phoenix, so expect trail traffic and consider hiking on weekdays. During hot-weather months, hike in the early morning and drink plenty of water. See our outdoor safety tips page for more info before you head out. This beautiful landscape is also the backdrop for the garden’s seasonal events. During the winter months, thousands of luminaria bags and twinkling lights transform the garden for Las Noches de Las Luminarias, a holiday tradition. 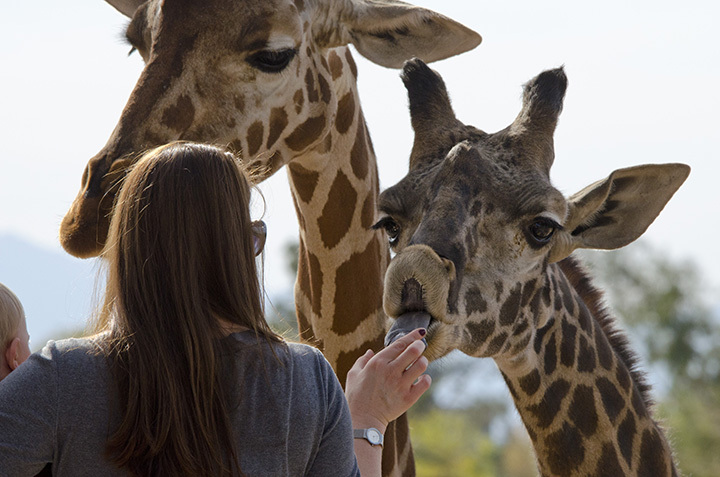 One of the nation&apos;s largest non-profit zoos is home to more than 1,400 animals. See Sumatran tigers roam the savanna, feed giraffes in an up-close encounter and discover the local flora, fauna and critters of the Sonoran Desert on the zoo&apos;s Arizona Trail. 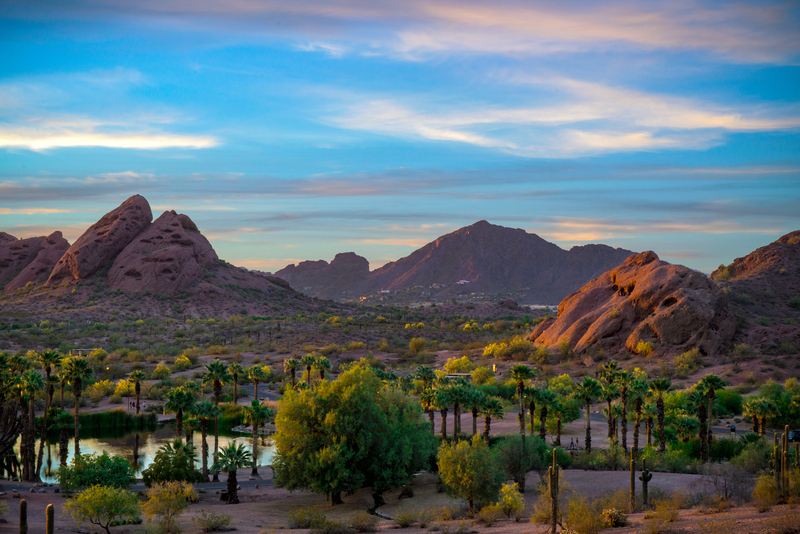 The park is also a popular hub of recreation, including fishing in seven acres of stocked lagoons and scenic Papago Golf Course, set at the base of Papago’s buttes. 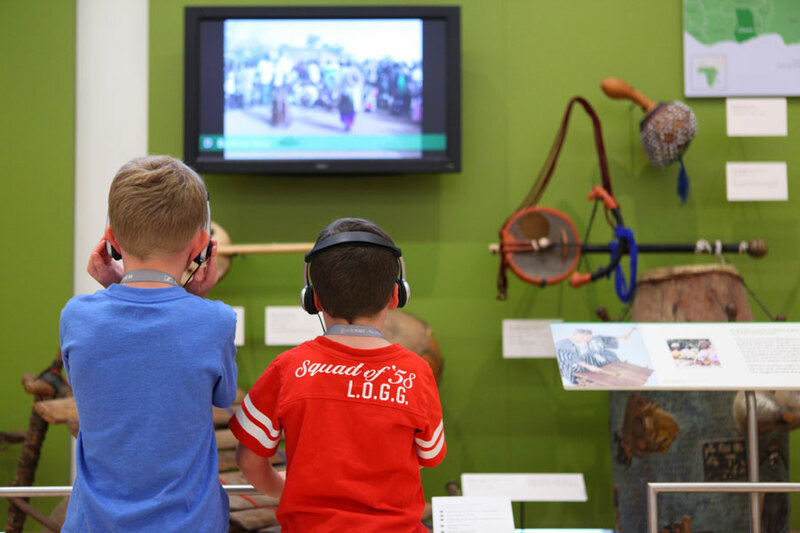 The tradition, culture and history of 22 regional American Indian tribes converge in the Heard Museum&apos;s immersive exhibits and authentic art shop. 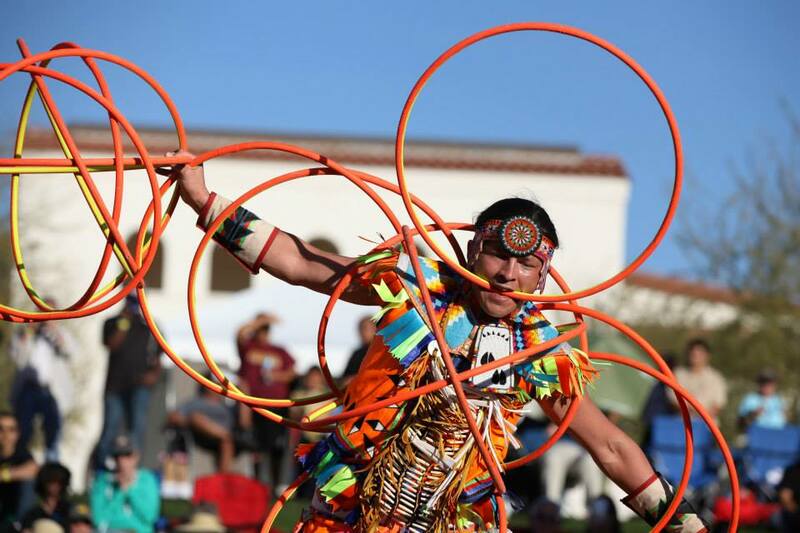 Through art and cultural objects, the museum’s ongoing exhibits tell the stories of native people of the Southwest, from early history to powerful memories of boarding schools. 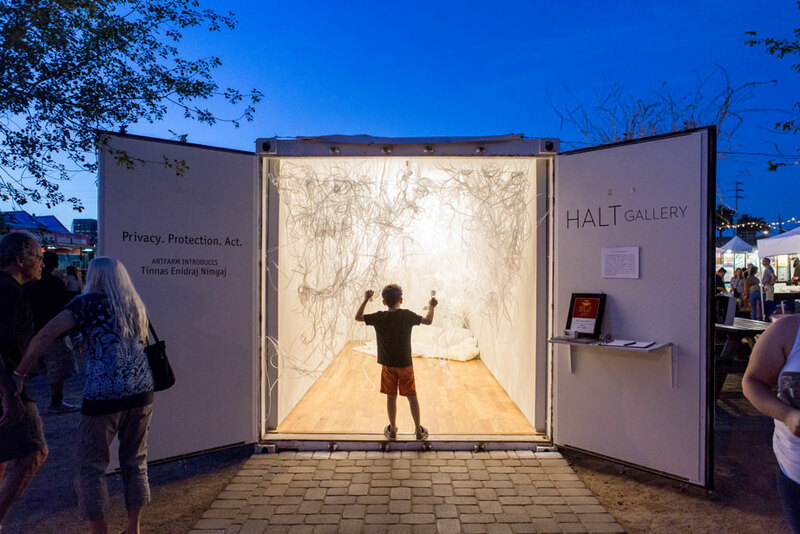 The creative beat of the city&apos;s urban heart is in Roosevelt Row, home to galleries, mural-splashed business walls and a monthly art walk.This arts district is a prominent stop for visitors and the downtown community along the First Friday self-guided art tour. 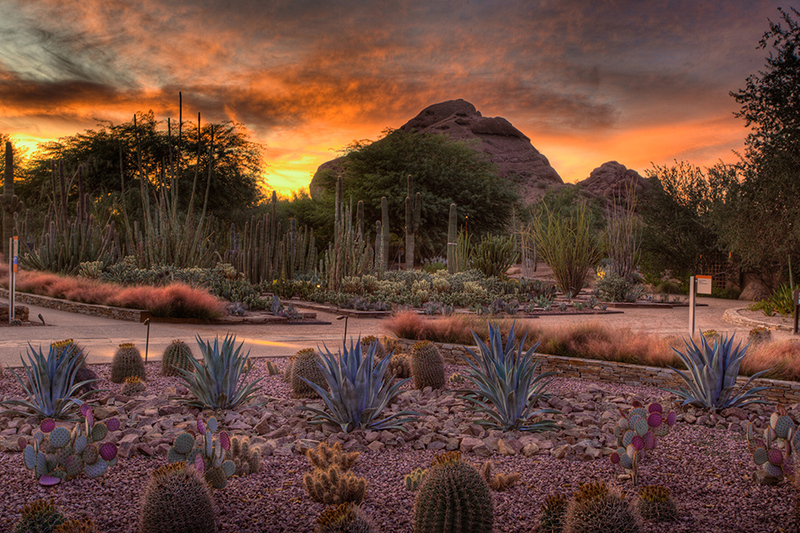 The skyline views and Sonoran Desert flora aren&apos;t the park&apos;s only perks. Keep a lookout for ancient petroglyphs carved into the rocks (we&apos;ve got details in this blog post). If you&apos;d rather drive than hike, bike or hoof it up the trails, hop on the 5.5-mile Summit Road up to Dobbins Lookout, the highest accessible point in the preserve. 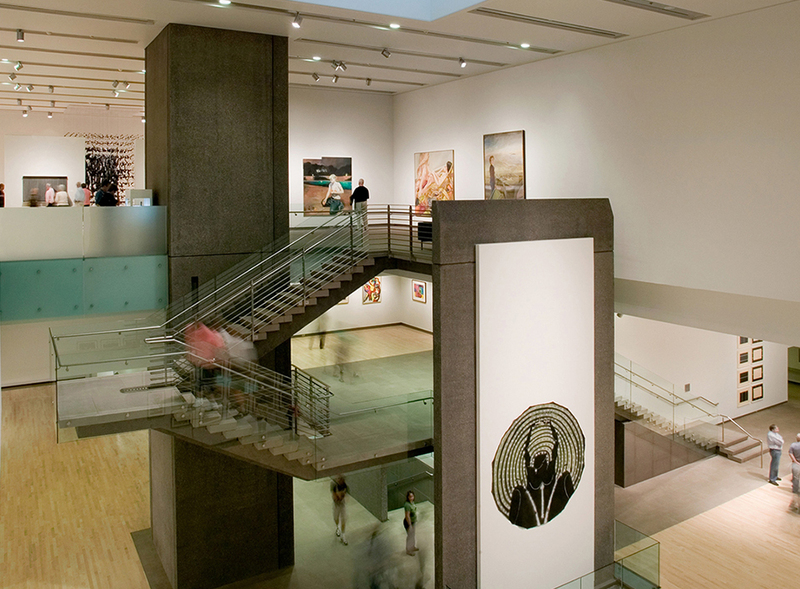 The Southwest&apos;s largest fine art museum features a collection of contemporary work and global masterpieces. Complementing the museum&apos;s galleries of fine art and objects from Asia, America, Europe and beyond are rotating exhibitions. Want to see the permanent collections for free (and the special exhibitions at a discount)? Visit Wednesdays from 3 p.m. to 9 p.m. during voluntary donation time, or the second Sunday of the month from noon to 5 p.m. for Free Family Sundays. 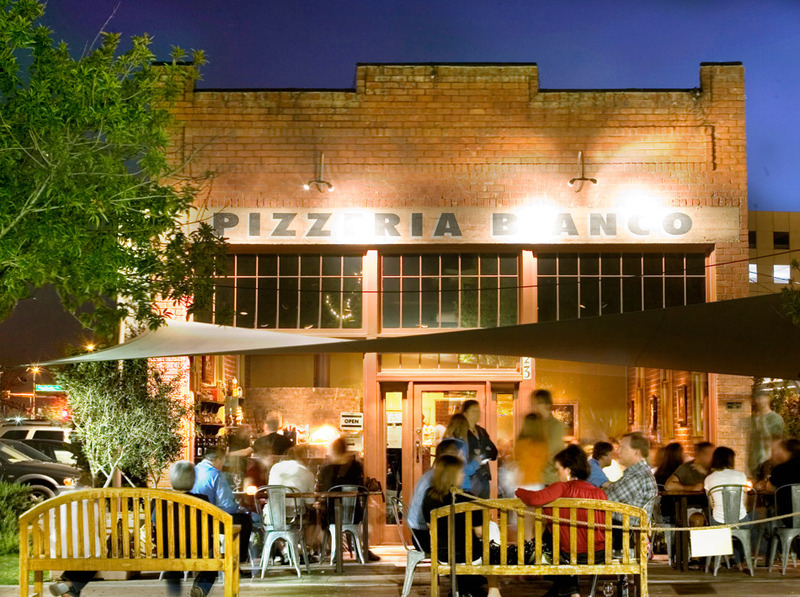 Like the 19th-century homes nearby, the restaurants in downtown&apos;s Heritage Square are making history: Both Pizzeria Bianco (heralded as the best pizza in the nation) and Nobuo at Teeter House (sophisticated Japanese offered tapas-style) are James Beard Award winners. 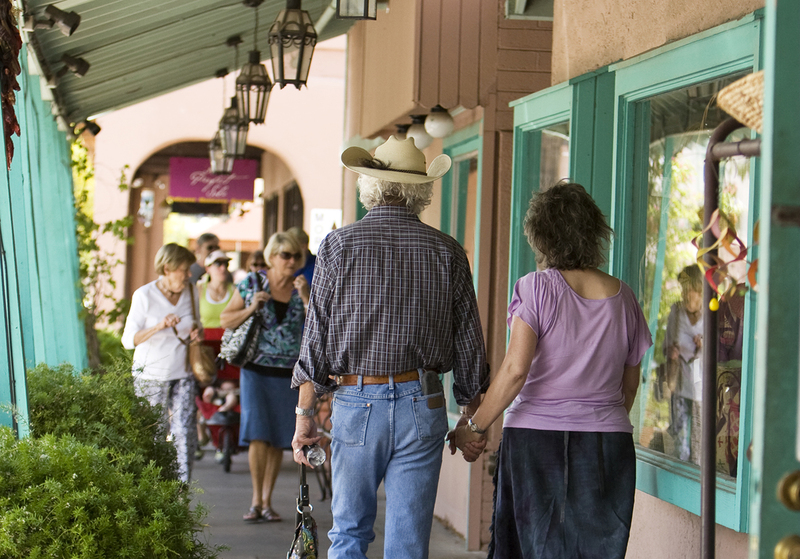 If you&apos;re hunting for a souvenir, you&apos;ll find your fill of old-fashioned flair (think cowboy hats and turquoise jewelry) alongside upscale art galleries and trendy boutiques in the Fifth Avenue district. The area is also a hot spot for after-dark dancing, lounging and libations. 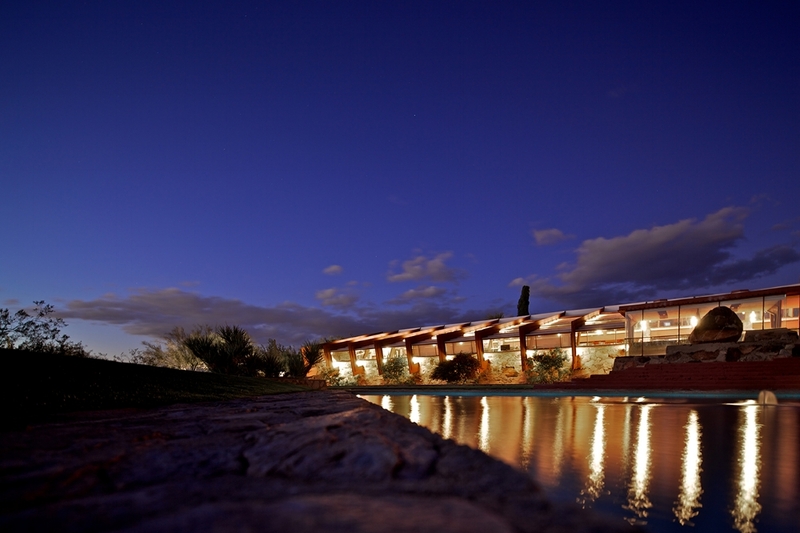 Tours of Taliesin West, Frank Lloyd Wright&apos;s winter home, give insight on how the masterful architect was inspired by the desert surroundings. Visitors walk through rooms, gardens, walkways and Wright&apos;s entertainment pavilion on the grounds while learning about his organic architecture.